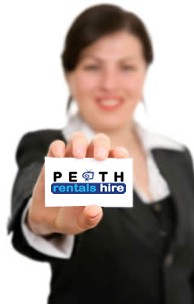 Perth Rentals Hire was started in 1968 when Geoff Long left the 6KY radio station and decided to go into business. One year later Ray Connop, a colleague from 6KY, joined him and the two friends began to rent out twin tub washing machines, single door fridges, and black and white televisions, all from a backyard in Como. Our rental hire specials in Perth are usually purchased in bulk and hence are always in stock and represent great value. Short or long term hire and buy options are available at affordable rates. A 5 minute call and you can have any of them as soon as today! Short term contract Hire items delivered within the next 24 hours. Used goods for sale, previously hired, on clearance sale from Perth Rentals Hire. Serviced and come with warranties. Call 9379 7344 now, quantities are limited. One of the best advantages of hiring from Perth Rentals Hire; if any of our equipment breaks down we come out and fix it or replace it.